Hawk and Croc – The world's most mightiest comics! 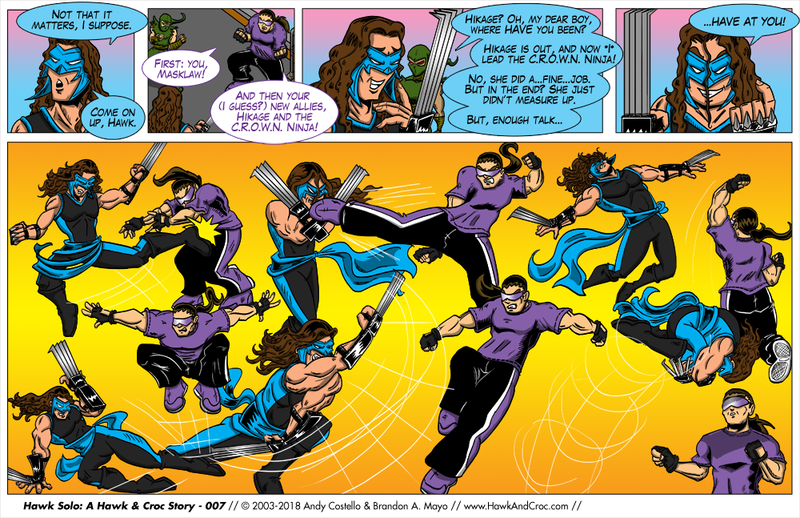 Introducing Hawk & Croc Redux, completely redrawn versions of classic Hawk & Croc strips from 2003! 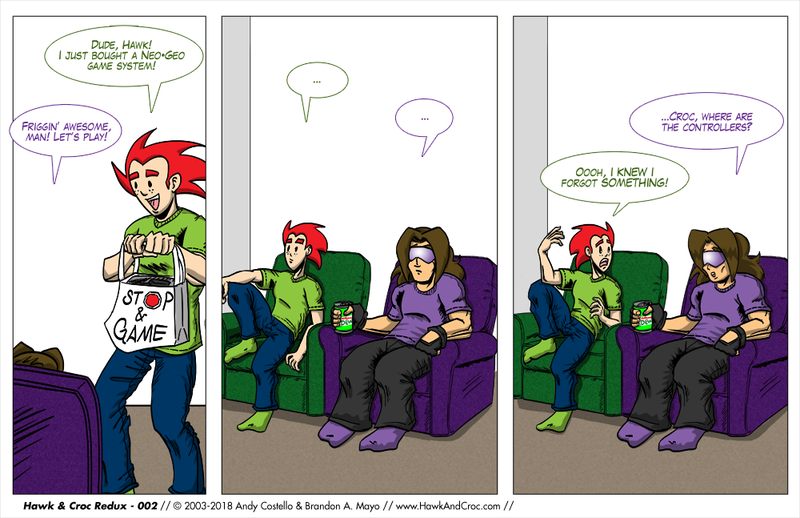 For the next ten weeks, you'll get a new Redux strip every Monday! This is the conclusion of chapter 1 of Hawk Solo. Come back next week to see what else we'll have in store! Welcome to the wacky world of Hawk & Croc, with NEW ongoing stories of the world's most mighteous superheroes, continuing the story of the classic web comic!